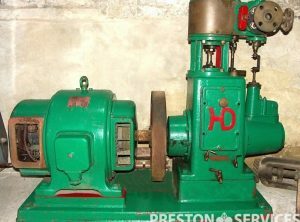 A high speed enclosed single cylinder vertical steam engine suitable for direct coupling to a dynamo or alternator. 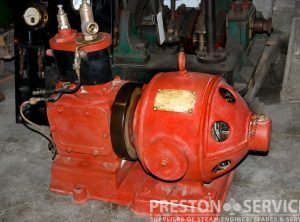 A high speed enclosed steam engine suitable for belt work or direct coupling to a dynamo, etc. 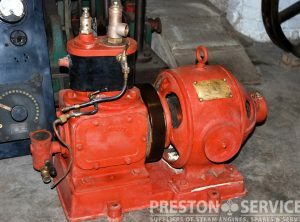 An unusually small Sissons engine. 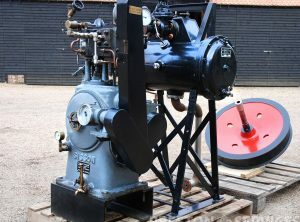 An enclosed, high speed steam engine suitable for direct coupling to a dynamo, etc. 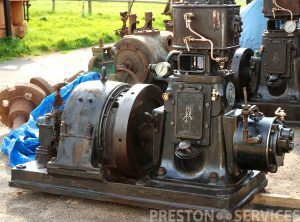 Complete with flywheel and external bearings, governor, bearings, rev counter. Also complete with Sissons condenser unit. 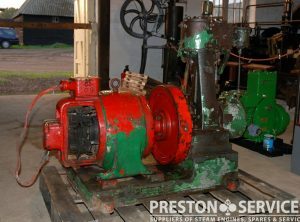 Single cylinder, single acting enclosed engine coupled to a 500 Watt D.C. dynamo. 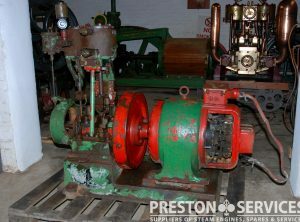 A very rare and very small small marine set, as fitted to steam drifters and other small auxiliary coastal vessels. 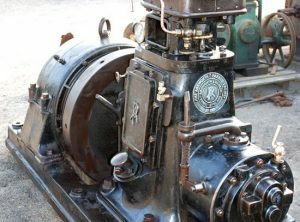 A complete, high speed enclosed type steam engine driving a dyanmo. by Sissons & Co., Gloucestershire. 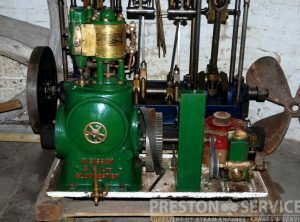 Originally fitted to a launch steam launch, engine is approx 4 H.P. output. In very good, restored condition. 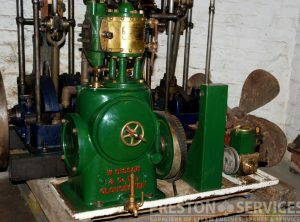 A single cylinder vertical open crank type steam engine coupled to 1 KW 100 Volt D.C. dynamo. Cylinder 4″ x 6″ (approx). Wt est 200 Kg. In unrestored condition. 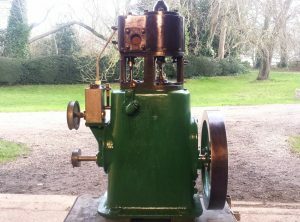 A single cylinder vertical enclosed type steam engine coupled to 2 KW 110 Volt D.C. dynamo. 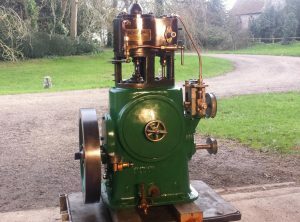 Built c1930 ~ Wt est 150 Kg. 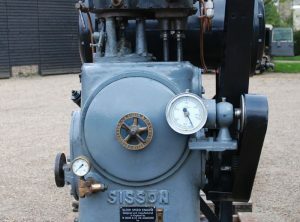 A high speed single cylinder enclosed steam engine coupled to 10 KW 230 Volt D.C. dynamo. 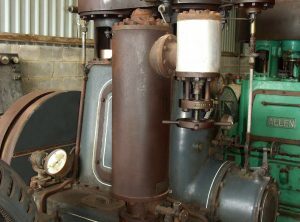 A vertical high speed enclosed steam engine belt coupled to a 220 V D.C. dynamo.